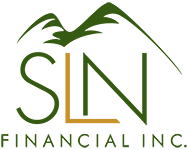 September 16, 2015 - Life Insurance for Small Business Owners: Buy-Sell Agreements | SLN Financial, Inc. If you own a business, what would happen to your business and your family if you were to die unexpectedly? Life insurance can help give your business and your family some breathing room to recover from the financial, emotional, and operational issues stemming from an unexpected death. If you have a partner or others with an equity stake in your business, a buy-sell agreement is vital to ensuring the continuity of your business in the event of a partner’s death. Because life insurance proceeds are usually paid quickly, the payout can make it possible to keep a business running instead of being forced into a distressed sale to cover a partner’s debts or satisfy a family’s financial needs. For example, let’s imagine that two business partners, Janet and Tom, own a thriving company. One day, Janet gets the terrible news that Tom passed away unexpectedly the night before. After weeks of hard work keeping the business running after the sudden death, Janet meets with Tom’s wife to discuss the future of the business. To her surprise, she finds out that Tom had run up hundreds of thousands of dollars of personal debt that his wife is now responsible for. She wants Janet to sell the business to settle the debts. Unfortunately, because the wife inherited Tom’s share of the business, she now has the right to make these kind of business demands of Janet. If Janet and Tom had a buy-sell agreement funded with life insurance policies, Janet could have bought Tom’s equity stake and avoided the situation. Tom’s family would have the cash they need and the business would survive. Term life insurance is a good option for business partners who are planning to retire at a set date in the future and just need coverage for those intervening years. The obvious downside is that term policies will expire; if you or your partner does not end up retiring, your business could be left without coverage or you could be forced to purchase new policies at substantially higher rates. If you or your partners plan to remain active in the business until late in life, a permanent life insurance policy may make more sense. There are also some disadvantages to consider. One or more of your business partners may be uninsurable because of age or illness. Ownership percentages can also make premium calculations more complex and result in higher premium expenses for those with smaller equity stakes. You should also consider how the value of your business will change over time and discuss different scenarios in your buy-sell agreement. It is a very good idea to consult a qualified business specialist or attorney to help you understand all of your options.